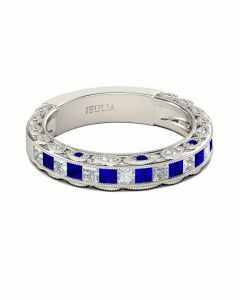 She's a woman who appreciates classic, timeless style. 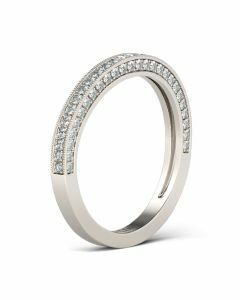 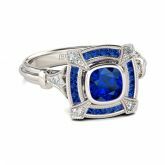 Ask for her hand with this art-deco style engagement ring. 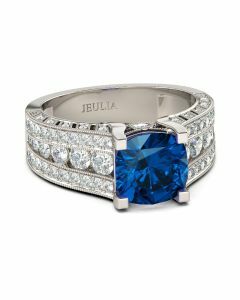 Fashioned in sterling silver, the eye is drawn to the blue cushion-cut stone in a squared setting at the center. 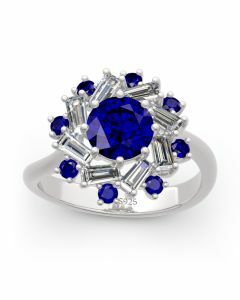 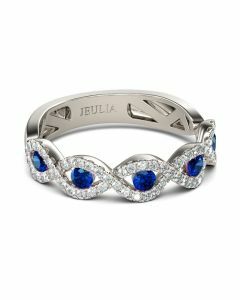 A border of smaller blue stones frames the center stone, adding a bright pop of color. 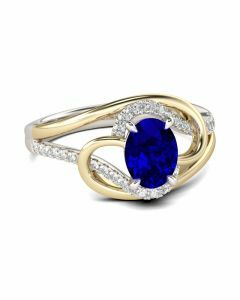 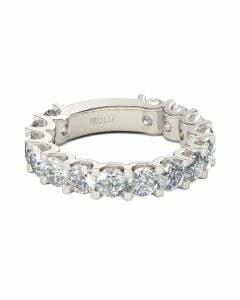 Glistening with brilliant stones, this ring is a captivating symbol of your romantic love.